It is an obsession and I have no idea why. It might be that I like playing around in mud and dirt too much. 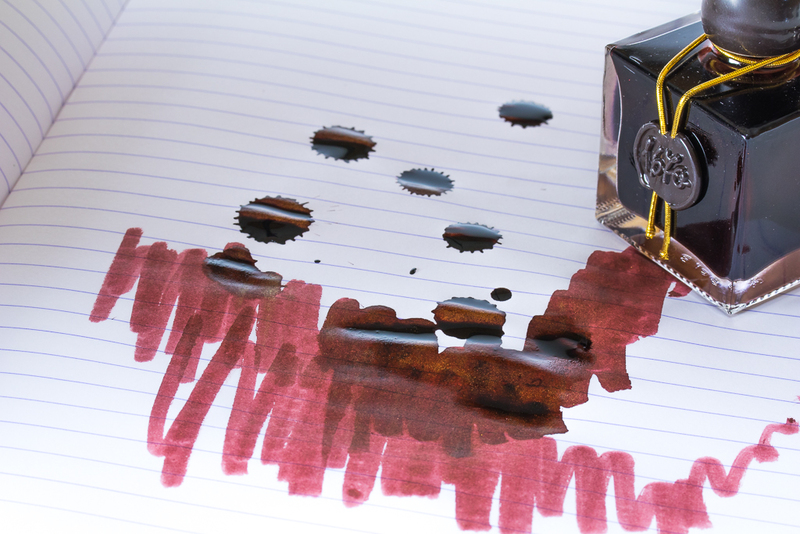 But there really is something about the number of amazing hues that you can find in brown fountain pen inks. I'm so glad to finally have Caroube de Chypre by J. Herbin in store! For my money this has to be the nicest of the 1670 inks so far! Caroube de Chypre reminds me of Terre De Feu but with the well known gold flakes! It's a red-brown-and-gold all mixed together with a little added pizzazz and wow-o-wow! Find Caroube de Chypre at Knight's Writing Company.